En Bas Saline is the site of a very large classic Taíno town occupied between about AD 1200 and AD 1530. It is thought to have been the principal town of the cacique Guacanagarí, which is where Columbus established his tiny settlement of La Navidad in 1492, after the wreck of the Santa María. En Bas Saline is located on the northeastern coast of Haiti about one kilometer from the village of Limonade Bord de Mer, and about 12 kilometers east of present day Cap Haitian. It is one of the largest Taíno village sites reported in Haiti, encompassing an area of some 95,000 square meters. Today it is the setting for the Haitian village of En Bas Saline (population about 150) and is farmed by the Haitian residents. 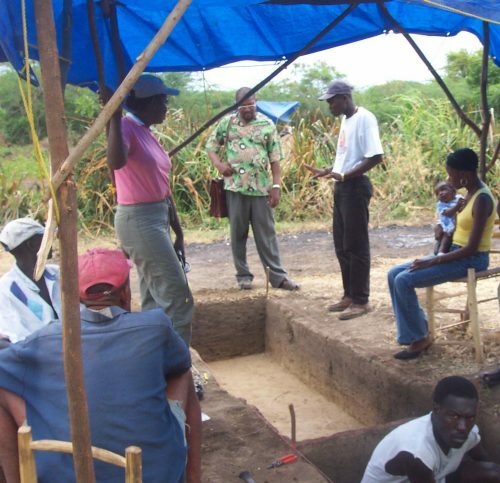 The people of En Bas Saline have also been the principal archaeological technicians for the project over the years. Since 1979, archaeological research at En Bas Saline has been oriented both to the search for Columbus’s fort of La Navidad, and to understanding the nearly 300-year long Taíno occupation of this important town. 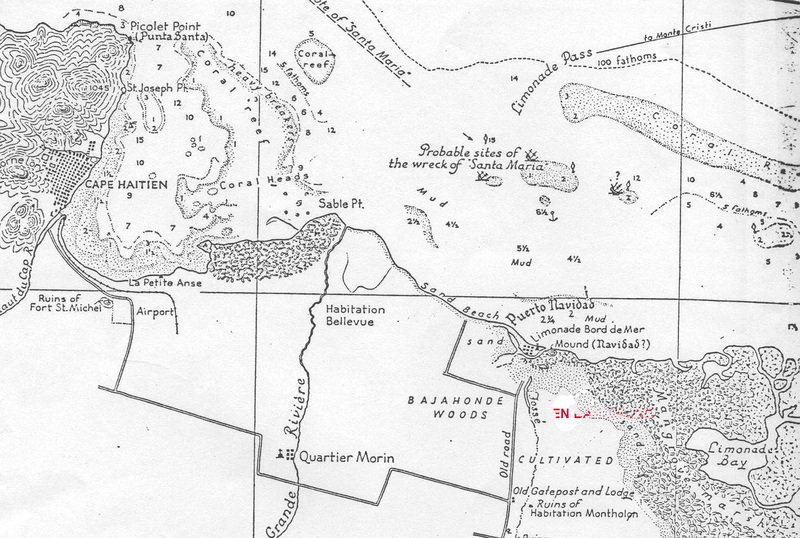 On Christmas Eve of 1492, Christopher Columbus’s flagship, the Santa María, ran aground on a reef near En Bas Saline. With the help of the Taínos from the nearby town of the cacique Guacanagarí, the Spaniards salvaged the cargo and timbers of the wrecked ship. Guacanagarí was the principal chief of the province of Marien at the time of contact (today northern Haiti and northwestern Dominican Republic), and he offered his town as a refuge for the shipwrecked Spaniards giving them one or two of his largest houses. The loss of his vessel forced Columbus to leave 39 crew members behind in town while the Niña and Pinta returned to Spain. He ordered them to make a tower and moat (possibly around the houses given to them by Guacanagarí) and to search for gold, and he left them with a promise to return for them the following year. Columbus did return for his crew nine months later during his second, colonizing voyage, but found the fort burned and all of the men dead. Guacanagarí claimed that some had died, fighting with one another, and most had been killed when a rival Taíno cacique attacked Guacanagarí’s town and burned the European compound. Although Columbus accepted Guacanagarí’s story, he chose to abandon the area as a site for his first intentional settlement, and sailed eastward to establish the town of La Isabela near present day Puerto Plata in the Dominican Republic. En Bas Saline is thought to be the site of Guacanagarí’s town both because of its singular size and prominence in the region, and also because its location conforms very closely to the accounts of Columbus’s wreck. Excavations at En Bas Saline have located a very large burned structure on a mound near the center of the site where nearly all of the European artifacts (including a lead musket ball and Spanish pottery) and European animal bones (rat and pig) have been found. Radiocarbon dates verify also that the structure was present in 1492, and this is the most likely candidate for La Navidad, and the brief Spanish occupation in 1493. The Taíno town at En Bas Saline was occupied by the Taíno until about 1520. During that time, the Spanish town of Puerto Real was established in 1503, about two kilometers from the site of En Bas Saline. There is no archaeological indication, however, that Europeans lived at En Bas Saline after La Navidad was abandoned by Columbus. 1985 Ball Courts and Ceremonial Plazas in the West Indies. Yale University Publications in Anthropology # 79. New Haven. 1990 Hispaniola and Puerto Rico: Indian Acculturation and Heterogeneity 1492-1550. Ph.D. dissertation, Yale University. Ann Arbor: University Microfilms. 1991 Repartimiento y Encomienda en la Isla Española. : Fundación García Arévalo, Santo Domingo. 1989 Mitología y Artes Prehispánicas de las Antillas. (2nd edition). Siglo Veintiuno Editores, Mexico City. 1997 Pre-Columbian Art and Culture from the Caribbean. El Museo del Barrio and the Monacelli Press, New York. 1990 Los Taínos de la Española. (Third edition). Editora Búho, Santo Domingo. 1992 House Structure and Cultural Change in the Caribbean: Three Case Studies from Puerto Rico. 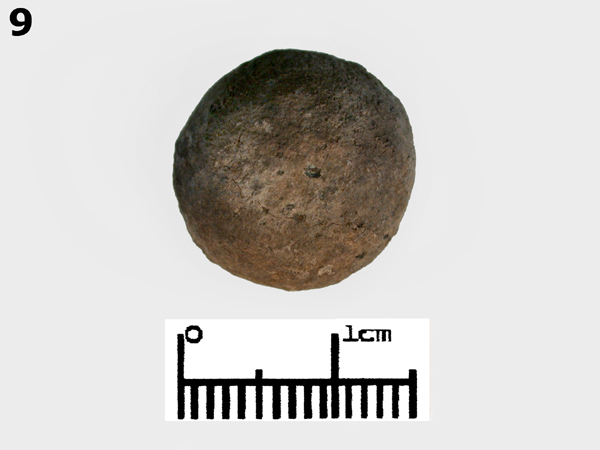 Latin American Antiquity 3(2):160-174. 2002 The Chief is Dead, Long Live….Who? Descent and Succession in the Protohistoric Chiefdoms of the Greater Antilles. Ethnohistory 49(2):259-280. 2003 Issues on the Diversity and Emergence of Middle-Range Societies of the Ancient Caribbean: A Critique. Journal of Archaeological Research 11(1):1-42. 2004 Reconsidering Taíno Social Dynamics after Conquest: Gender and Class in Culture contact Studies. American Antiquity 69(4):597-626. 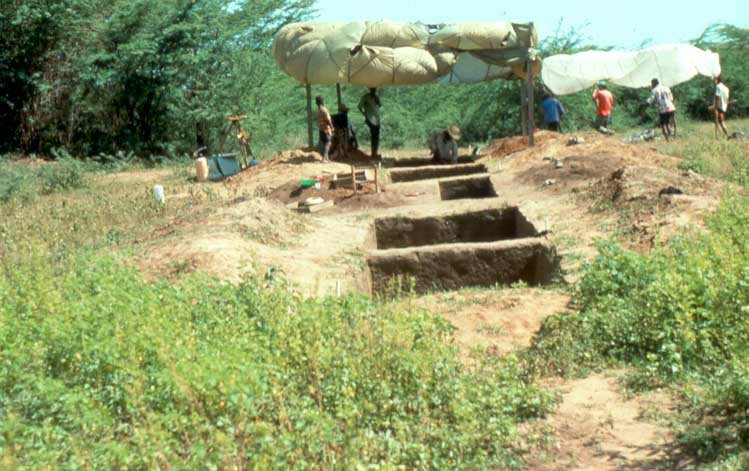 1995 Puerto Real: The Archaeology of a Sixteenth Century Spanish Town in Hispaniola. University Presses of Florida., Gainesville. 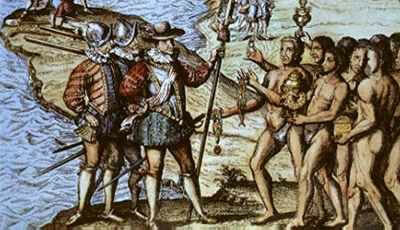 2002a La Isabela: Columbus’s Outpost Among the Tainos 1493-1498. Yale University Press, New Haven. 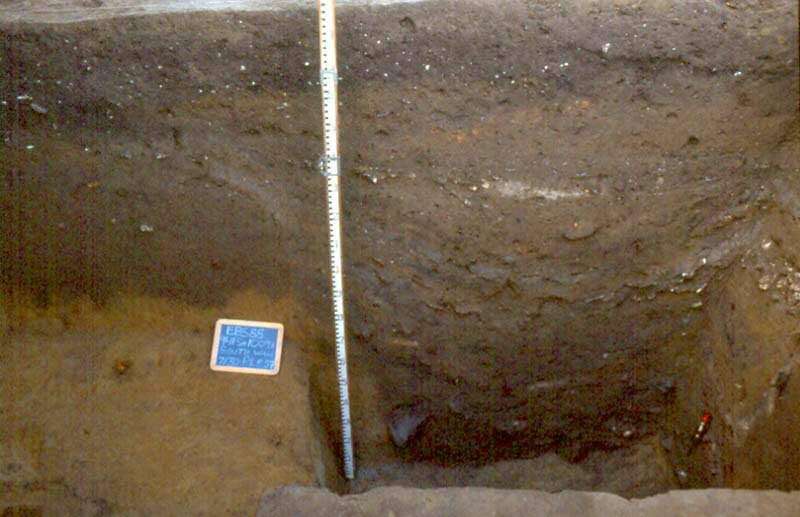 2002b Archaeology at La Isabela: America’s First European Town, 1493-1498. Yale University Press, New Haven. 1995 La Española y la Esclavitud del Indio. Fundación García Arévalo, Santo Domingo. 1977 El Arte Taíno en la Repúblic Dominicana. Santo Domingo: Muso del Hombre Dominicano. 1998 Cultural Genesis: Relationships Among Indians, Africans and Spaniards in Rural Hispaniola, First Half of the Sixteenth Century. Ph.D. Dissertation, Vanderbilt University. Ann Arbor: University Microfilms. 1994 L’Art des Sculpteurs Taínos Chefs-D’Oevre des Grandes Antilles Precolombiennes. Musee de la Ville de Paris, Paris. 1992 The People Who Met Columbus: The Lucayan Taino. University Press of Florida, Gainesville. 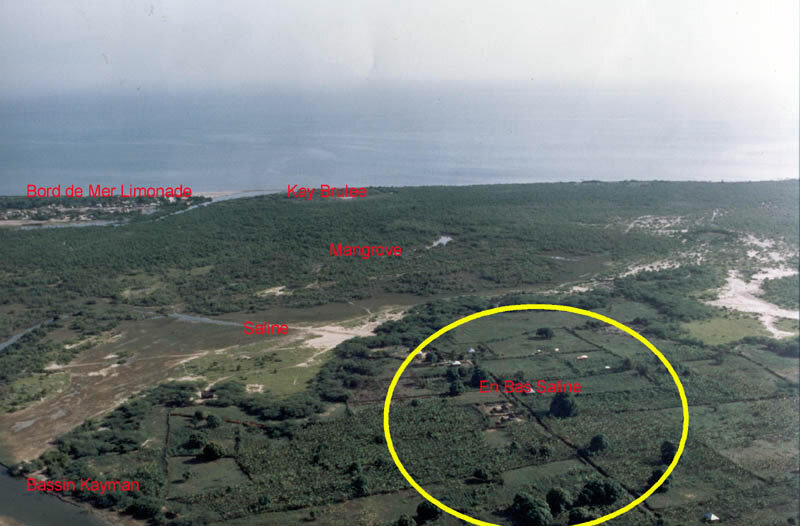 1994 West Indian Archaeology 1: Overview and Foragers. Journal of Archaeological Research 2(2):255-284. 1996 West Indian Archaeology 2: After Columbus. Journal of Archaeological Research 5(2):265-94. 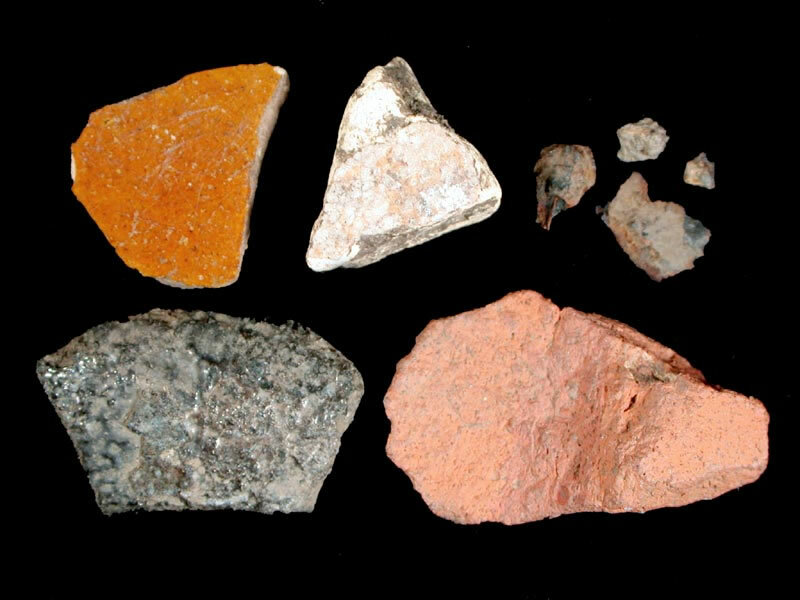 2000 West Indian Archaeology, 3: Ceramic Age. Journal of Archaeological Research 8(2):135-167. 1989 The evolution of avunculocal chiefdoms: a reconstruction of Taíno kinship and politics. American Anthropologist 91:613-30. 1959 The Life of the Admiral Christopher Columbus by his Son, Ferdinand. Rutgers Press, New Brunswick, N.J.
1951 História de las Indias. Edición de Agustín Millares Carlo. 3 vols. Fondo de Cultura Económica, Mexico City. 1970 De Orbe Novo (2 Vols.). Translated and edited by Frances MacNutt, Burt Franklin, New York. 1997 El Indio Antillano: Repartimiento, Encomienda y Esclavitúd (1492-1542). Muñoz Moya Editora , Seville. 1981 The Development of Tribal Society in the Caribbean. Ph.D. dissertation: State University of New York at Binghamton. Ann Arbor: University Microfilms International (1985). 1999 Sociedad y Economía de los Taínos. Editorial Edil, Santo Domingo. 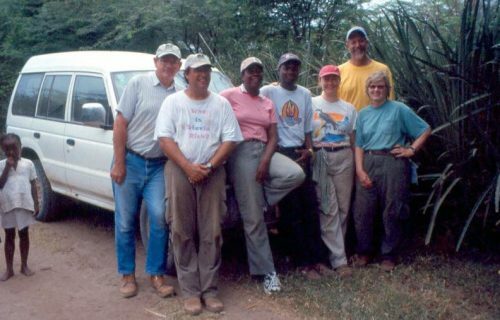 1998 Archaeology in Haiti. Nils Tremmel, Port au Prince and London. 1971 La Española en el Siglo XVI, 1493-1520. Universidad Católica Madre y Maestra, Santiago, Dominican Republic. 1992 The Politics of Forced Indian Labor in La Espanola 1492-1520. Antiquity. 66(250):130-139. 1993 Plant Use by Saladoid and Taíno people of the Caribbean. Ph.D. Dissertation, University of Florida, Gainesville. Ann Arbor: University Microfilms International. 2004 On Land and Sea. Native American Uses of Biological Resources in the West Indies. University of Alabama Press, Tuscaloosa. 1959 História General y Natural de las Indias. Biblioteca de Autores Españoles, Madrid. 1939 Prehistory in Haiti. Yale University Publications in Anthropology, 21. New Haven. 1941 Culture of the Ft. Liberte Region, Haiti. Yale University Publications in Anthropology, 24. New Haven. 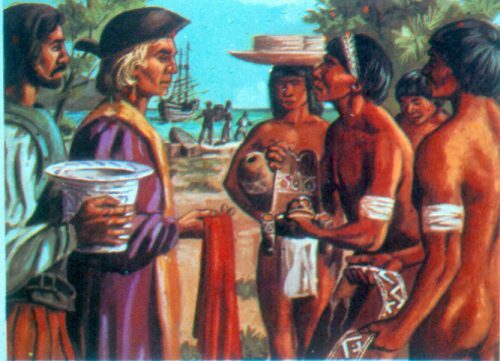 1992 The Tainos: Rise and Decline of the People who Greeted Columbus. Yale University Press, New Haven. 1988 Cave of the Jagua: Mythological World of the Taínos. : University of New Mexico Press, Albuquerque. 1999 Contested Places and Places of Contest: The Evolution of Social Power and Ceremonial Space in Prehistoric Puerto Rico. Latin American Antiquity 10 (3):209-238. 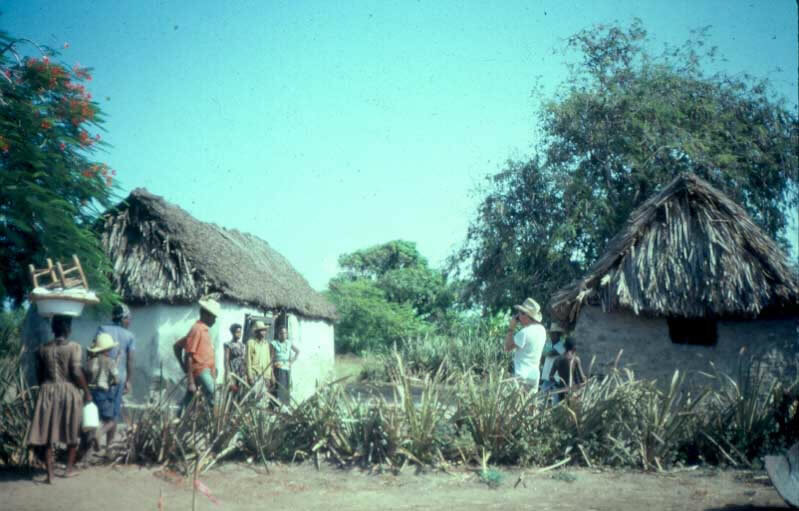 1961 Taíno agriculture. In The Evolution of Horticultural Systems in South America: Causes and Consequences – a Symposium. Anthropological Supplement # 2. Caracas, pp. 69-73. 1979 La Mujer Indígena y su Sociedad. : Editorial Antillana, Rio Piedras, Puerto Rico. 1977 Medioambiente y Adaptación Humana en la Prehistória de Santo Domingo. Editorial Taller y la Universidad Autónoma de Santo Domingo, Santo Domingo. 1993 La Isla de Santo Domingo Antes de Colón. : Banco Central de la República Dominicana, Santo Domingo. 1997 The Daily Life of the Taíno People. In Taíno. Pre-Columbian Art and Culture from the Caribbean. edited by Fatima Bercht, Estrellita Brodsky, John Alan Farmer and Dicey Taylor. El Museo del Barrio and the Monacelli Press, New York. pp 34-45. 1990a Hispaniola: Caribbean Chiefdoms in the Age of Columbus. University of Alabama Press, Tuscaloosa . 1990b Taíno Elite Integration and Societal Complexity on Hispaniola. In Proceedings of the Eleventh International Congress for Caribbean Archaeology. (11): 517-521.Fundación Arqueológica, Antropológica e Histórica de Puerto Rico, San Juan. 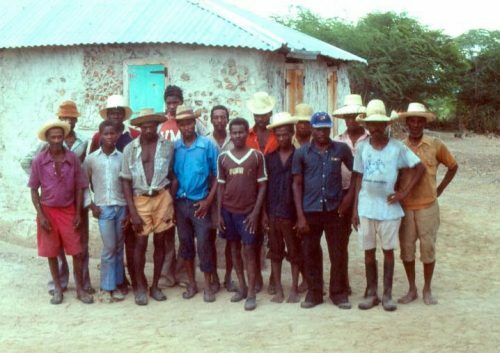 1997a The Indigenous People of the Caribbean. University Press of Florida, Gainesville. 1997b The Taíno Social and Political Order. In Taíno. Pre-Columbian Art and Culture from the Caribbean. edited by Fatima Bercht, Estrellita Brodsky, John Alan Farmer and Dicey Taylor. El Museo del Barrio and the Monacelli Press, New York. pp 46-55.